The beauty of Cultural Detective Values Lenses? A colleague was just telling me this morning that he had a class of students from France and Italy, and one Thai woman. The students had worked with Cultural Detective Self Discovery; they had reflected on their personal values and history, and created personal Values Lenses. Next my colleague had walked through the French Values Lens with the class, and asked them to compare their personal Lenses with the national Lens, the country in which all of the students were residing and studying. The French students perceived a lot of resonance with their national culture, and the foreign students identified their experience in France as well. Next my friend walked through the Italian Values Lens, and got the same reaction. Finally, when he went to the Thai Values Lens, he realized he knew next to nothing about Thais, and that he couldn’t even pronounce the words on the Lens. Thus, he elected to ask the Thai student, blindsiding her or putting her on the spot if you will — he asked her to come up and introduce the class to the Thai Values Lens, which she had only just seen in that moment! This Thai participant led the other students, and the professor, on a journey into Thai culture that took their breath away! She shared examples of Thai behavior and their meaning that built the other students’, and the teacher’s, respect for who she is and where she comes from. Such can be the power of a Values Lens. It is not a stereotype. It captures the central tendency, the norm, of a group of people, in terms people can identify with. Thus, it is usually quite easy for a representative of the culture to introduce the values in a Values Lens, using stories from everyday life in that culture. So many people nowadays tell us they are global nomads, TCKs, Blended Culture people. And they are. And, this does not mean that they don’t have a culture; it means they have more cultural strands woven into their identity than perhaps the average person! The goal of Cultural Detective Values Lenses as tools is to facilitate dialogue and understanding, both understanding of self and others, and thus enable collaboration that brings out the best of each of us. Please help us make that happen, by sharing your tips, techniques, and designs, and by encouraging best practice. This entry was posted in How-to and tagged blended culture, Cross-cultural communication, cross-cultural skills, Cultural Detective, diversity and inclusion, France, global nomad, intercultural competence, Italy, multicultural identity, multicultural society, Student, TCK, Thai by Dianne Hofner Saphiere. Bookmark the permalink. There is one little sentence above that I find fundamental ” …both understanding self and others…” to which I would add that it would be impossible to understand others without first deepening the reflection on ourselves. This also leads me back to the 2-day preparatory workshop I had with Belgian fellows leaving to the UK for a three year assignment. Though I do like to somehow rely on national values what really matters is to focus on a persons personal values framework. That enabled us to really tailor our reflection on personal values differences with the host country and anticipate risks and misperceptions at work or in private life once abroad. But apart from anticipating risks, it also, and equally importantly, maps cultural similarity : that enabled us to reinforce confidence and enthusiasm about going to live and work abroad. An important part of my job as cultural facilitator is precisely to boost confidence. it is easier to achieve it using cultural similarity than hammering on possible obstacles. The funny part when working with Cultural Lenses is that we can develop our own lenses and then compare them with national ones and those of other people. In that sense, the exercise is very close to the Daniel Ofmann’s Core Quadrants. 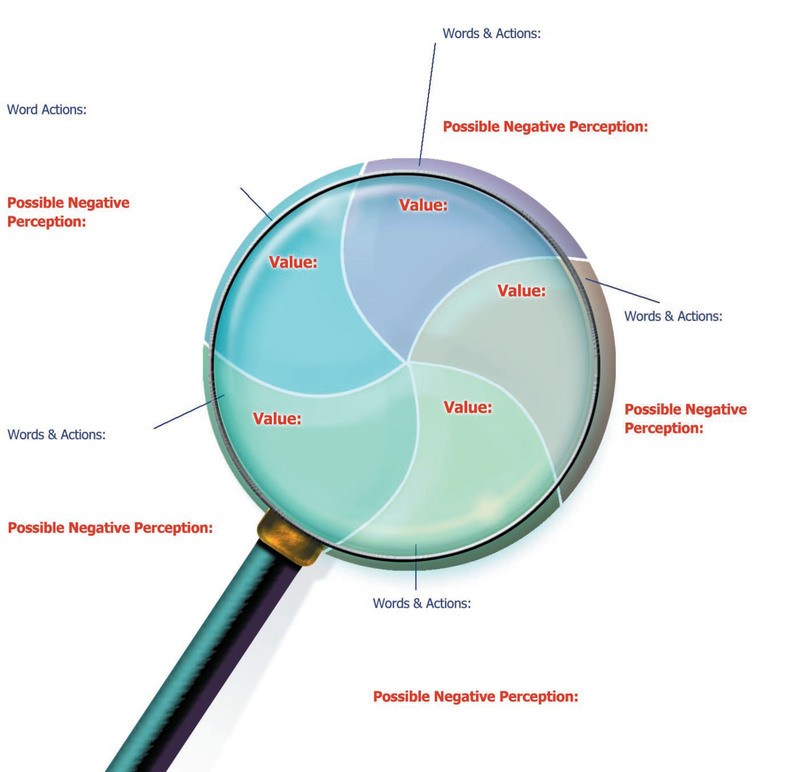 Using the lenses and values that way highlights perceptions, behaviors and expectations of people when interacting but also enhances objectivity.